Last Wednesday I received an email from Tmart.com confirming about my shopping voucher I've won with Working Mama giveaways. Well joining so many giveaways from my fellow bloggers is a good experience for me since I am just new here in the blogosphere world. 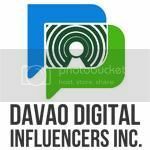 I started blogging just to promote ANYTHING ABOUT DAVAO, I don't expect to come this far. And I don't believe that blogging brought me here and win this fabulous prize. EXCITED? Yes, I am. Giving the fact that I am LUCKY to have all these favorable circumstances that had provided me all the chances, well I have to grab it! This is really my year! 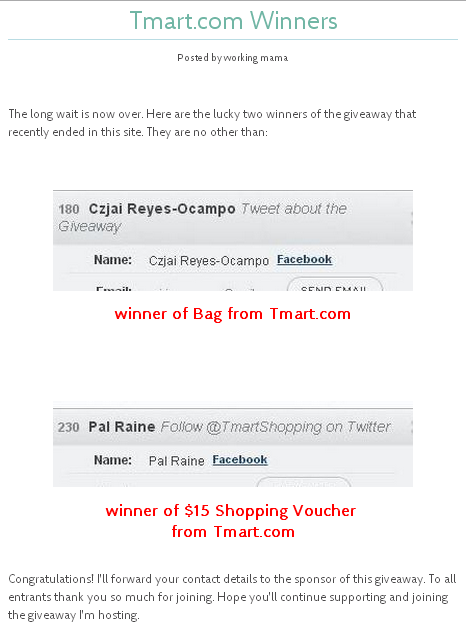 Two lucky winners have won fabulous prizes from Tmart.com. PAL RAINE is there....that's ME!